Last week I made mention of how the fallow summer period often meant surprise licensing announcements by the anime distributors. This weekend past wasn’t fallow, indeed there was an MCM Comicon in Manchester, although Manga Entertainment didn’t have a panel there. Indeed, technically they didn’t have any announcements this week either. But eagle-eyed fans know when there’s a new anime listing at a certain River Delta e-tailer site, and it quickly became clear that Manga Entertainment will be releasing some of the Pokemon movies here on Blu-ray. Although I have no idea why this nineties craze would suddenly be in vogue again (says the smartphone-shunning reviewer). What interested me more was their listing of the 30th Anniversary release of The Transformers Movie on Blu-ray. Even more exciting was the 30th Anniversary release of Akira on Blu-ray. You might recall Manga’s last Blu-ray of this was a clone of the epic Bandai release, the movie, earth-shattering soundtrack, and little more. Subsequently, Funimation licence-rescued the film in the US and spruced it up a bit. This time it also has the original Streamline dub alongside the Pioneer redub, it has extra features, and it’s full screen (not overscan friendly like the Bandai release, ever so slightly windowboxed). Read more at Anime UK News. Anime Limited were at the MCM Comicon, and they did indeed have new licenses to announce at a panel. They’ll be giving the Blu-ray Collector’s Edition treatment to an old Manga Entertainment release, as they intend to do for Eden of the East and Claymore. This time they’ve picked up the classic Ouran High School Host Club. They’ll also be releasing a collection of Production IG shorts, including Pig Tail, Kick-Heart, and Oval x Over. Again read more at Anime UK News. They also had details on their upcoming Escaflowne Ultimate Edition which you can read more about at their blog site. It’s got the Yoko Kanno soundtrack on 3CDs! Note that for a brief time only, it’s available at an early bird bargain price of £90 exclusively from the Anime Limited site, before it goes up closer to the RRP of £149.99. My first review of the week was for the first title from a new player in the UK market, although you’ll probably have heard of Funimation before, major players as they are in the US. Yona of the Dawn Part 1 is their first UK release, and it’s a very agreeable way to kick off a new UK venture. It’s a historical fantasy, which sees a spoilt and pampered princess thrown into exile, when her childhood friend murders the king and assumes the throne. If Yona wants her kingdom back, she’ll need to fulfil a prophecy and find four legendary warriors, and the only help she has is from her loyal bodyguard. 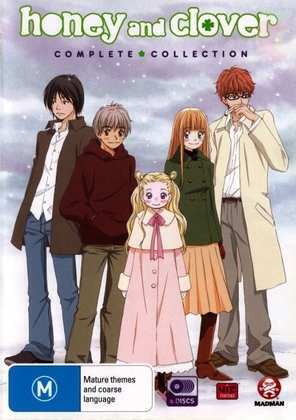 Next it was the turn of Honey and Clover: Complete Collection, which I imported from down under. It’s never seen a UK release, which is a shame, as it’s a rare relationship comedy drama with an emphasis on character. It follows the lives and loves of a bunch of students at art college, and while it ventures into soap opera territory at times, it’s never less than entertaining. Click on the review if you want to read more. Taking a step back from anime, I took a hefty dose of nostalgia this week when I looked at Terrahawks: Volume 1. This was one of my favourite shows when I was a child, and I have to admit that nostalgia rarely serves me well when it comes to childhood favourites. But this Gerry Anderson production has held up pretty well over thirty years, even if it isn’t quite up to the standards of Thunderbirds and Stingray, and it’s come up a treat on Blu-ray. Appleseed Ex Machina. The 3D CG medium has rarely come off well when it comes to anime, and it’s best served by the cel-shaded works that pretend to be 2D as much as possible. When it comes to 3D, the likelihood is that the animation will wind up looking like a videogame cut-scene. The solution to this is to get some serious movie-making talent behind the scenes. For the second Appleseed movie, none other than John Woo served as producer, although his touch is heavily felt in the final product, with plenty of slow motion action scenes, lots of doves in flight, and heroes jumping sideways while shooting guns. The end effect is to make Appleseed Ex Machina cinematic in a way that the first film couldn’t achieve. It’s also helped by a few years upgrade in digital effects technology. The downside of Appleseed Ex Machina is the story, which while it starts off promisingly enough, adding a real dramatic frisson of having a potential love triangle between Deunan Knute and her cyborg partner Briareos, and a bioroid cloned from his human half called Tereus. Just like the first film, the danger is a cybernetic conspiracy, with the futuristic equivalent of mobile phones being used to hack cyborg and human minds, turning them into unwitting soldiers. It’s a great set-up, but with a wholly derivative conclusion, channelling part Matrix, part Star Trek First Contact, and part nu-Doctor Who (the first Cyberman story). It’s the exact opposite of the first Appleseed movie, in that it looks fantastic, but fails to satisfy. You almost wish that John Woo had produced the first film instead. I reviewed Appleseed Ex Machina here, and you’d be right in thinking my opinion has tempered for the re-watch. 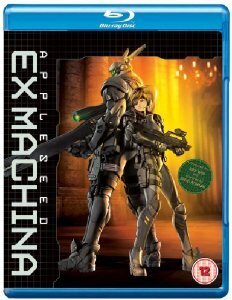 Appleseed Ex Machina was released here by Warner Brothers, and it’s still readily available on retail. 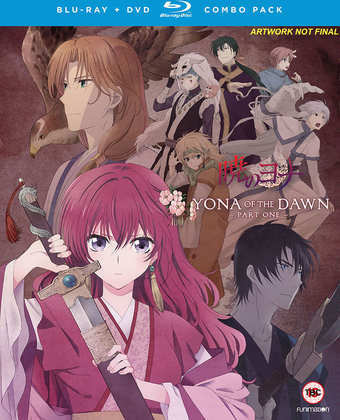 Yona of the Dawn: Part 1 was released last Monday by Funimation on BD/DVD combo. Madman Entertainment released Honey and Clover: Complete Collection back in 2012 on DVD, but at this time, second hand would be your best bet. 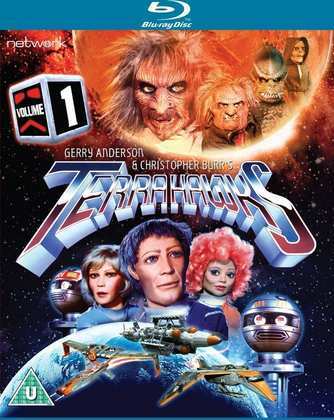 Network released Terrahawks: Volume 1 on Blu-ray and on DVD last Monday.